sustainable energy and climate change in their Integrated Development Plans (IDPs) for 2017-2018 financial year. This is video tutorial (part 1 of 3) explains how to use the SSEG tariff excel-based tool that calculates how municipal revenue is impacted by customers installing solar PV, as well as the business case for customers that install solar PV. The spreadsheet has 2017 Tshwane data included as an illustration, but should be updated for the particular municipality in question before use (Genesis, SALGA & GIZ, 2017). This booklet provides renewable energy options, along with key challenges and risks, muncipalities can explore as of January 2018. The purpose of the series of booklets is to provide municipalities with information on key topics within the energy and electricity sector that have implications for the role of municipalities in energy and electricity. This booklet provides energy efficiency options, along with key challenges and risks, muncipalities can explore as of January 2018. The purpose of the series of booklets is to provide municipalities with information on key topics within the energy and electricity sector that have implications for the role of municipalities in energy and electricity. This report provides a summary of the results for the feasibility assessment of a biogas to CHP project for the City of Mbombela's waste water treatment works facility, Kingstonvale. 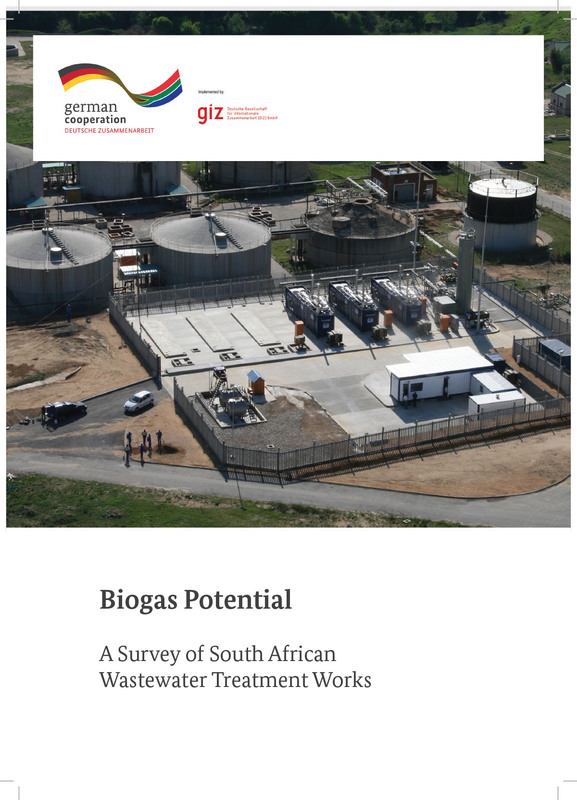 This report provides a summary of the results for the feasibility assessment of a biogas to CHP project for the City of Tshwane's waste water treatment works facility, Zeekoegat. This is an excel-based tool that calculates how municipal revenue is impacted by customers installing solar PV, as well as the business case for customers that install solar PV. The spreadsheet has 2017 Tshwane data included as an illustration, but should be updated for the particular municipality in question before use (Genesis, SALGA & GIZ, 2017). This is a short practical guideline for municipalities on how to use existing grants to finance energy efficiency and renewable energy infrastructure. The guidelines provides guidance and examples of energy efficiency or renewable energy projects for each infrastructure grant. The Councillor Induction Programme is an initiative led by SALGA to empower local government councillors to provide well-informed politicalleadership with regard to sustainable delivery of all municipal functions. A basic understanding of the sector that falls under the portfolio of the councillor will assist towards achieving this goal. This booklet will provide councillors with an overview of the municipality’s role in increasing the access to energy for all its citizens. This booklet has been prepared to provide councillors with an overview of the role of the municipality in energy and electricity planning. This booklet has been prepared to provide councillors with an understanding of the role of the municipality as an electricity service authority. This booklet gives councillors an overview of how electricity is financed within the municipality. A wallchart on the Electricty and Energy landscape used in the SALGA Councillor Induction Programme. This video interviews councillors with an energy portfolio on topics such as emerging trends councillors must be aware of, how councillors should engage with officials, staff and the public as well as some key challenges municipalities are facing. The Councillor Induction Programme is an initiative led by SALGA to empower local government councillors to provide well-informed political leadership with regard to sustainable delivery of all municipal functions. A basic understanding of the sector that falls under the portfolio of the councillor will assist towards achieving this goal. This information package aims to provide local government with information on the Renewable Energy Independent Power Producers Procurement Programme (REIPPPP), to show the potential opportunities for local development and to outline an approach towardsrealising and maximising such benefits. It further induces a dialogue on the potential role of local government in the REIPPPP and work towards substantial co-operation between local government and IPPs. realising and maximising such benefits. South African wastewater treatment works (WWTW) have a high savings potential on their electricity bill through the generation of biogas from the anaerobic digestion of sludge for their own consumption. The objective of this study was to review the potential of all municipal WWTW larger than 10ML/day for a biogas and CHP project. The report analyses the inclusion of Sustainable Energy (energy efficiency and renewable energy) and Climate Change in municipal Integrated Development Plans. It proposes a methodology, gives national and provincial results and identifies trends and specific projects. An update will be publish in 2018. 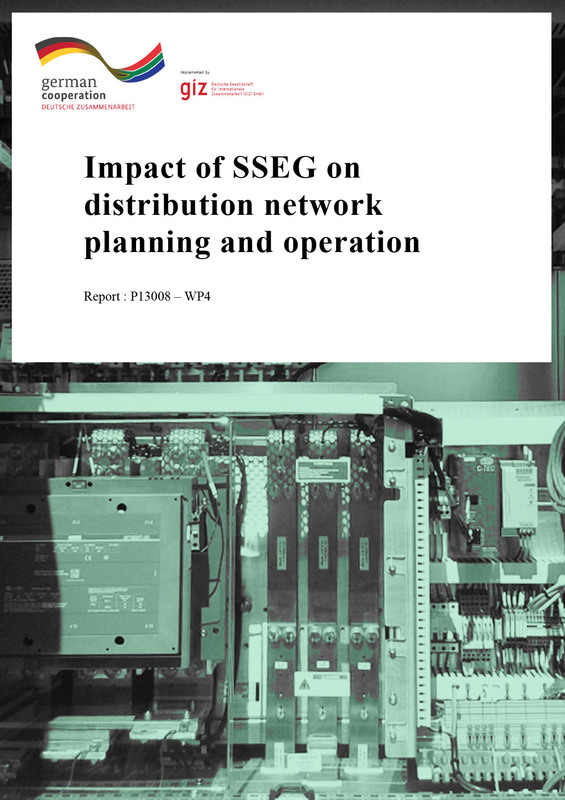 The purpose of this document is to provide an overview about the technical impact of small scale embedded generators (SSEG), in particular rooftop PV-systems, on planning and operation of LV distribution networks. It further provides guidelines for the proper definition of interconnection rules for rooftop PV, considering relevant performance and safety aspects. The cost of supply tool aims to increase municipal understanding on what it costs them to supply electricity to different customers categories in order to (i) develop tariffs that are in line with the occurred costs and (ii) consider the possibility of introducing tariffs for small-scale embedded generation. The guidelines provide explanations on how to use the excel model.